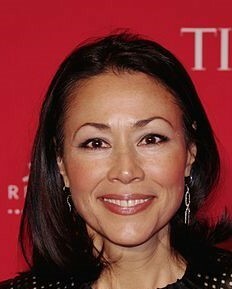 Photo: Ann Curry, Television journalist, born in Guam. Her mother was Guamanian and her father was an American sailor during World War II. The Chamorro people, or Chamoru people, are the indigenous peoples of the Mariana Islands, which include the United States territory of Guam and the United States Commonwealth of the Northern Mariana Islands in Micronesia. The Chamorros are primarily Austronesian, but many also have European (Spanish) and East Asian ancestry. Today, significant Chamoru populations also exist in several U.S. states including Hawaii, California, Washington, Texas and Nevada. The Chamorro are commonly believed to have arrived in the Marianas Islands from Southeast Asia circa 2,000 BC. They are most closely related to other Austronesian-speaking natives in eastern Indonesia (specifically in Maluku and Sulawesi), Taiwanese aborigines, as well as peoples of the Caroline Islands to the south (in particular the outer islands of the FSM state of Yap). On March 6, 1521 Ferdinand Magellan and his men had after having crossed the Pacific Ocean encountered the first “indios” since leaving South America. Later Spanish visitors named the inhabitants “Chamurres”, derived from a local term for the upper caste; this was then converted to “Chamorros,” an old Spanish term for “bald,” perhaps in reference to the local habit to shave. Over the centuries, the Mariana Islands have been occupied by several foreign countries (Spain, Germany, Japan, United States), and present-day Chamoru society is almost entirely multiethnic. Chamorro society was based on what sociologist Dr. Lawrence J. Cunningham termed the “matrilineal avuncular clan,” one characteristic of which is that the brother(s) of the female parent plays a more primary paternal role than biological male parent of a child. The Chamorro – Guam population data represent DNA samples from 97 unrelated volunteer donors who were from Guam, and who reported that both parents were of the same descent. Samples were obtained by the Scientific Analysis Section of the Federal Bureau of Investigation (FBI) Laboratory Division, in the FBI Academy at Quantico, Va. Source publication: Genetic Variation at Nine Short Tandem Repeat Loci in Chamorros and Filipinos from Guam, Legal Medicine, 2000, p26-30.